September 24, 2015, Taipei, Taiwan – Innodisk, the service-driven flash provider, announces its latest series of SATADOM® disk-on-module SSDs featuring a new cable-less power technology. This latest series of SATADOM® and ServerDOM™ come in the same compact form factor but feature a new way of delivering power to the flash drive directly through the SATA connector itself for less clutter and superior reliability. The new patented Pin 8 technology powers a series of SATADOM® drives which will come in a variety of compact form factors and flash flavors including SLC, MLC and iSLC, as well as DRAM-less versions for 100% data integrity in the face of power loss. Besides SATADOM® with Pin 8 Technology, Innodisk is updating its full line of SATADOM® SSDs including SATADOM® powered by Pin 7 power and external power cables. The new SATADOM® SSDs will feature higher capacities and DRAM-Less SSD technology. 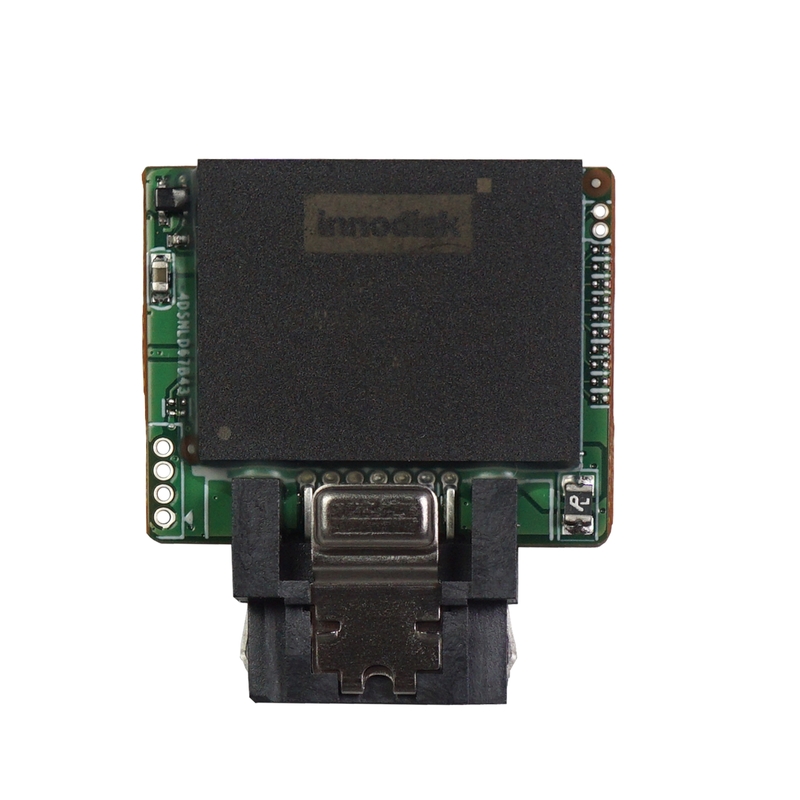 Patented by Innodisk, SATA Pin 8 Vcc uses the SATA connector itself as a power supply to drive the device without external cables. Extra pins on each side of the drive’s connector mate with pins in the motherboard’s SATA interface to provide a power source that eliminates the need for cables. Already available on motherboards from top manufacturers, Innodisk’s Pin 8 Vcc technology joins Innodisk’s SATA Pin 7 Vcc technology to enable compact, cableless SATA storage solutions. 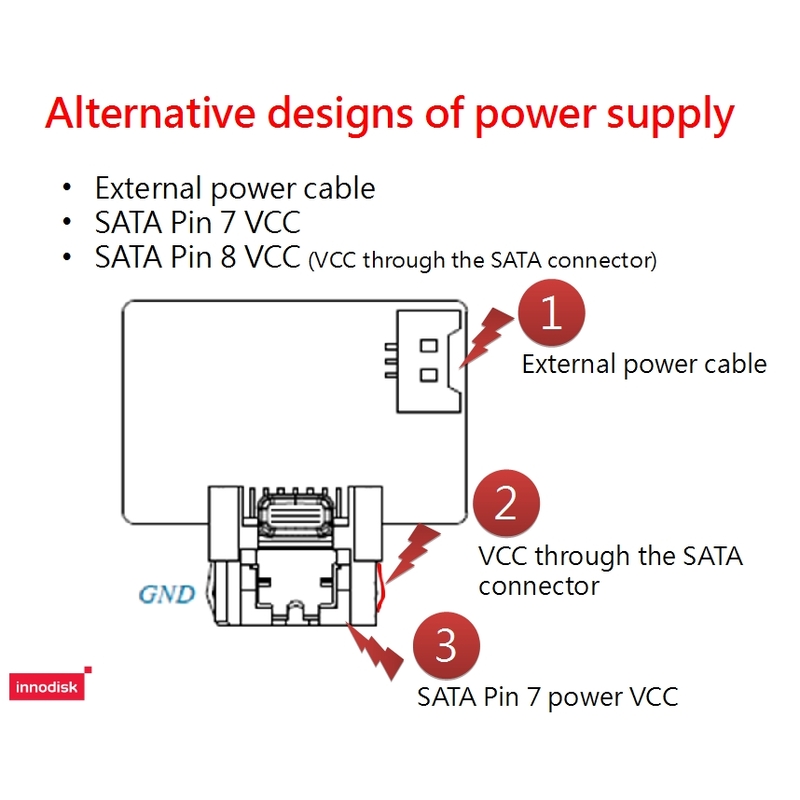 SATA Pin 8 Vcc Technology makes SATADOM the ultimate plug and play storage with no extra connectors needed. 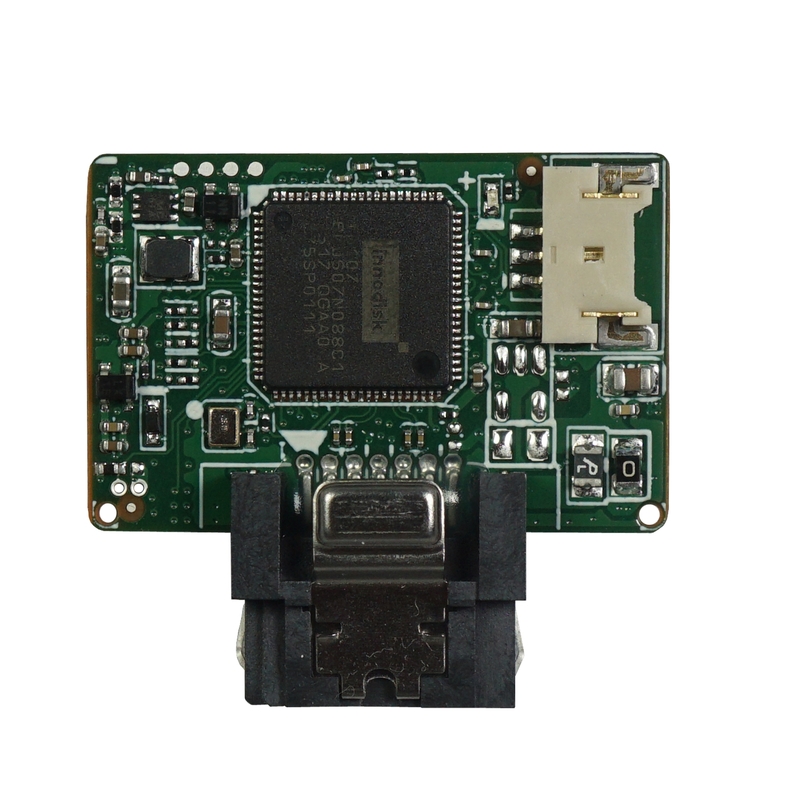 It not only provides power but the SATA connector’s power pins create a robust physical connection between the SSD and motherboard, increasing system reliability. The robust cableless design means less clutter and improves air flow, especially in rackmount server chassis and low profile system. With its small form factor, industrial grade technologies and reliable power sourcing, SATADOM® provides the perfect compact flash storage for servers, and also comes in an even more compact ServerDOM™ version especially designed for server applications. For high storage reliability, ServerDOM™ is compatible with Intel RSTe technology and can be configured as a pair of SSD Boot drives for OS redundancy. With its cable-less design, SATADOM is easily hot swappable with no extra connections to deal with. Using ultra-compact Innodisk nanoSSD flash, ServerDOM™ has a slim form factor that fits into some of the most low-profile rackmount and blade chassis for compact, reliable storage that eliminates messy cabling. Innodisk (Taiwan:5289) is a service driven provider of flash memory and DRAM products for the industrial and enterprise applications. With satisfied customers across the embedded, aerospace and defense, cloud storage markets and more, we have set ourselves apart with a commitment to dependable products and unparalleled service. This has resulted in products including embedded peripherals designed to supplement existing industrial solutions and high IOPS flash arrays for industrial and enterprise applications. The expanded business lines are leading our next step in being a comprehensive solution and service provider in industrial storage industry.